Jörgen playing on the Emulator Emax. 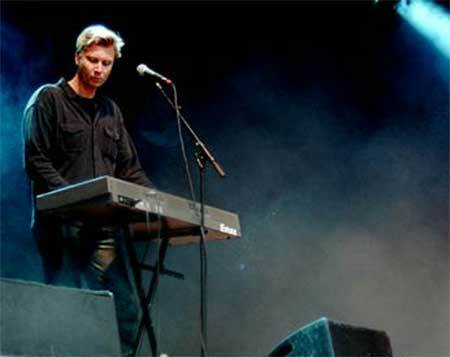 Jörgen always dress i black on stage and is responsible for the additional vocals at live performances. The picture was taken at a big outdoor performance at the Gothenburg Festival in 2001.